Not Everyone Can Lead. But, For Some of Us, it’s Just a Matter of Inspiration. To all of our followers: Terri and I have been approached with a wonderful opportunity for someone to make a huge difference in Frederick County for the March of Dimes. Nancy Wiley, the Senior Community Director for the Maryland-National Capital Area Chapter of the March of Dimes, has been a fan of our blog ever since we started it back in October 2012. Nancy wanted to spread the word to the followers of our blog about a volunteer position within her organization. She is actively looking for Volunteer Leadership, specifically for a March for Babies Chair and Revenue Committee, here in the Frederick Community. It’s a great opportunity to get involved with a well-known national non-profit whose mission to improve infant health has an impact both locally and on a national and international level. 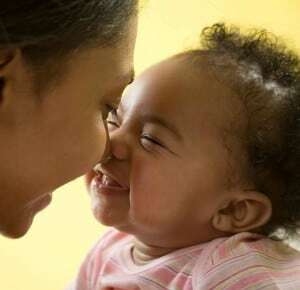 There’s no experience necessary, just a commitment to their mission to improve infant health by preventing premature birth, birth defects and infant mortality and a willingness to learn about the March of Dimes and engage the community and your own contacts. It’s true, not everyone is a leader, but sometimes it’s just finding that one thing you’re passionate about to make you a leader. If you’re reading this here on Housewives of Frederick County, there’s a good chance you have children and those children were once babies. At the very least, you most likely know someone who was recently a baby or who recently gave birth to a baby. Here’s the thing. 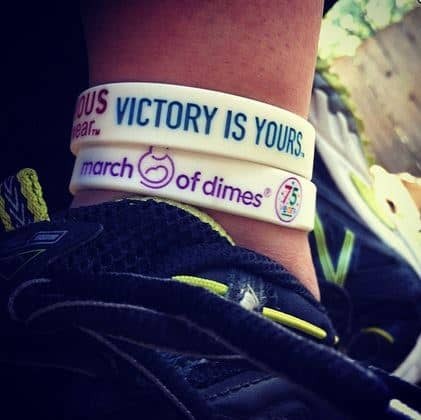 The March of Dimes is a leader in infant health. You might not even realize how much you and your family have actually benefited from the work of the March of Dimes, but if you were protected from polio as a child, if your own children received their immunizations and went through newborn screening for serious disorders such as PKU (which causes intellectual disabilities if gone undetected), or if you know a baby who received surfactant therapy to help them breathe as a premature infant, then you’ve experienced the work of the March of Dimes. 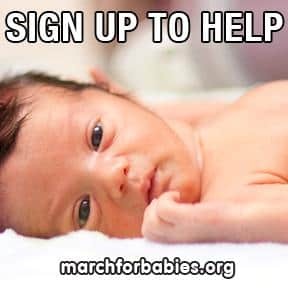 It would be great if we could say that our work is done, but with nearly 500,000 babies born prematurely in the United States alone each year and with prematurity being the leading cause of death in the first year of life, our work is far from over, which brings me back to being a leader. The local Frederick County March of Dimes needs volunteer leadership. We need local people willing to make a commitment to raising awareness about our mission by engaging other community members and raising money to fund our mission by joining our March for Babies revenue committee. 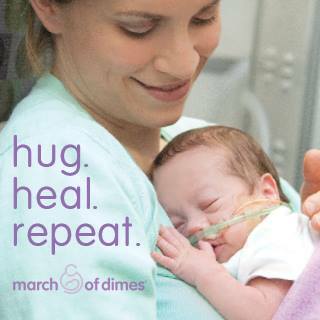 The 2014 March for Babies is scheduled for Sunday, April 27, 2014, but our work starts today. If you want to make a difference in the lives of babies both in Frederick County and across the US and you’ve got 20 to 25 hours to volunteer (that’s less than one hour per week), contact Nancy Wiley at 301-723-7267 or nwiley@marchofdimes.com to learn more about how you can help.